Make sure the artwork in your home stands out from the rest as you hang this 3D llama in prime position. 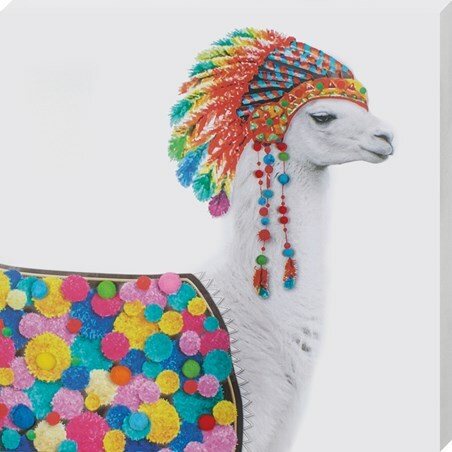 Featuring a whole bundle of 3D pompoms, this super colourful llama is bursting out of the canvas like a bright rainbow. 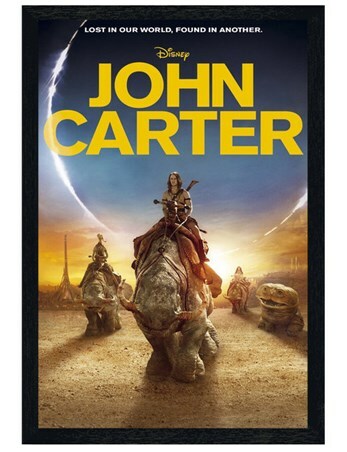 If you want to inject some much needed colour into your home, then this brilliant three-dimensional canvas is the perfect solution. 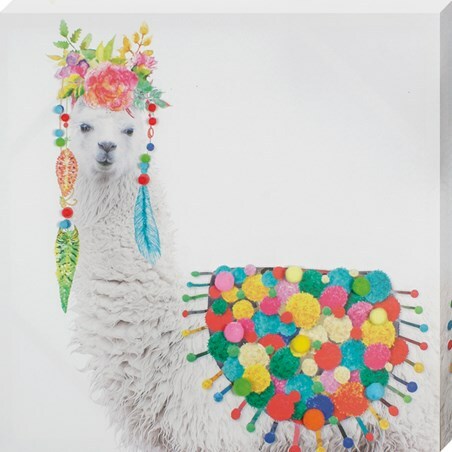 For all those crazy for llamas, this comical, artistic and beautiful llama is perfect to hang in any room. 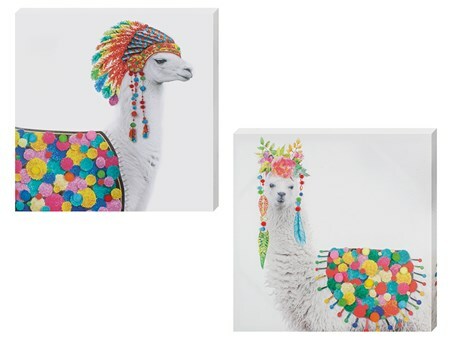 High quality, framed Colourful and Fashionable, Funky Llama In Headdress large canvas print with a bespoke frame by our custom framing service.